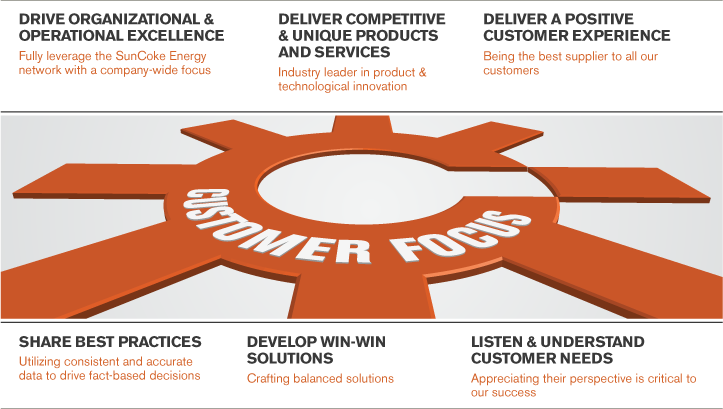 At SunCoke Energy, we work closely with our customers to understand their needs to deliver a unique and competitive offering of products. We also share operational information and market data to develop appropriate, mutually-valuable solutions. Our core values – Excellence, Innovation, Commitment, Integrity and Stewardship – are integral to how we do business and conduct ourselves every day in our operations and interactions with customers, employees and other stakeholders.